Marcel Pinas is born in Pelgrim Kondre, a village in the interior near Moengo, in the Marowijne district. He grows up in the rich Maroon Culture. In 1986 a civil war breaks out. An escalated conflict between arm leader Desi Boutserse and his former body guard Ronnie Brunswijk. A conflict over power between two large egos. With major consequences. The three-year conflict destroys entire villages and much of the already fragile infrastructure of the area. An unknown number of people killed. 200 or more. In Moiwana alone, it is estimated that 39 civilians are slain. In 1992 peace is officially closed. The dramatic consequences slowly become visible. A significant part of the population has fled the country. The mental blow is large and its effects can still be felt today. The culture, the tradition that they represent and are proud of, is seriously threatened, albeit severely affected, During the war Pinas is in high school n Paramaribo. At the time the first ideas about giving something back to his community are already taking shape. When he chooses the path of an artist, he initially works from a traditional Western tradition. After his studies in Jamaica however, it becomes obvious to him that he must follow his ideals and that he must put his art at the service of the culture that has shaped him. He becomes an artist with a mission. Pinas makes paintings, drawings, sculptures and installations his work refers to various elements from the Maroon culture. The Afaka, the script that has is origins in the Marowijne area; the colourful traditional decorations used for example to decorate houses and furniture; the panghi cloths created by the women, the kitchen cabinets, the bottles with healing substances and other object and element that play a role in Winti rituals and customs. While the work stems from and is inspired by the Maroon culture, it is also in line with international developments in visual art, and it also serves as a calling card for a project that is much larger and more directly linked to the Maroon culture: the project Moengo, “the largest installation of Marcel Pinas”. That starts around 2007, 2008. Pinas want to protect the Maroon culture from eradication, but he especially wants to give young Maroons the opportunity to develop themselves, to realize their full (artistic) potential, so that they can once again be proud and can believe that there is a future for them as well. The actual start of the project Moengo is the establishment in 2008, of an enormous monument for the victims who were killed in Moiwana as a result of the civil war. A sleek, impressive monument in quiet surroundings, visible from the road. It is more than a monument; it is a statement of the maker. One Year later Pinas receives permission to use one of the buildings of the former hospital of Suralco, the company that exploited bauxite in and around Moengo for many years. This becomes the Tembe Art Studios. In it children from Moengo and surroundings are given workshops in music, dance theatre and visual art. Shortly thereafter a small restaurant and the first guesthouse are added. CAMM, the Contemporary Art Museum Moengo opens in 2011. For the time being it shows only Pinas’ work, but it is intended to ultimately also display work from the region. All schools are given the opportunity to register their students for guided tours. They are then given by local students. Because Moengo does well with arts and crafts, a store is opened where the products of those activities can be sold. Woodcarving, jewelry, pangi cloths, drums etc. in 2011 Moengi also officially becomes an artist in residency. Artist from anywhere around the world may apply. The condition is that be willing to work for the larger cause: they are given a role in the workshops and they must leave behind a sculpture for the Marowijne Art Park, the sculpture garden surrounding the Tembre Art Studio. in 2012 a plan was born to organize a yearly festival for and by the local population, which would also attract outside visitors so that they can see and experience what Moengo has to offer. It begins in 2013 with a music festival, followed in 2014 by a theatre festival. The Moengo Festival of Visual Arts completes the first series. The objective of the festival is a logical extension of the Moengo philosophy of Pinas. 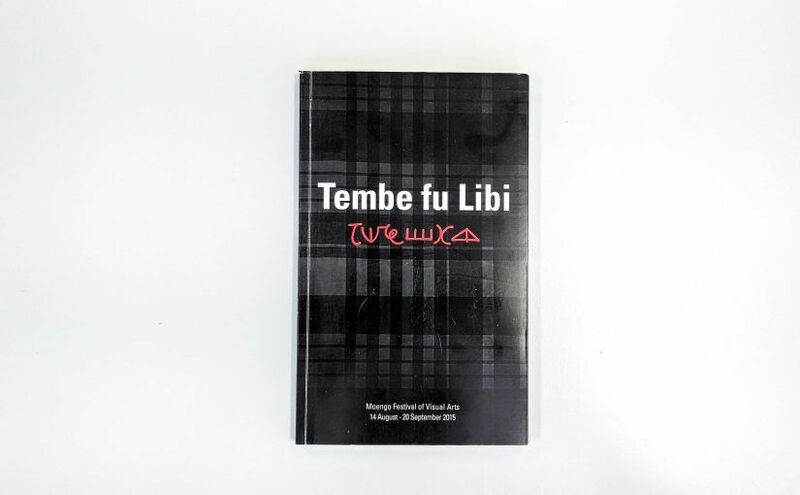 As its core is an exhibition – ‘Tembe Fu Libi’ – with work from Surinamese artists, from (international) artists who have, in the past several years, completed a residency in Moengo, with work form a trio of artist form the USA and Africa that is familiar with the Moengo method, but also with work from local crafters – men and women – and last but not least, the results of the projects that Surinamese artists have initiated and developed with students from school in and around Moengo. The exhibition is spread over several locations and will in part also take place outside. It is an artistic meeting place in which various talents, various form of art and various cultures connect, challenge, inspire and empower each other. It is intended to amaze, to surprise, to entertain, to move, to persuade and to engage the viewer. In addition to the exhibition, there are various workshops during the exhibition period in which local craftspeople will not only introduce the audience to their craft, but it will also invite them to participate. If at the last moment more activities are presented that fit within the Moengo philosophy, then a space and time will be made available for them. In a three-day seminar various artists present their own work and (experiential) experts will have discussions about the usefulness and the power of residencies, about collectively working towards a certain goal, about the art of survival, about the role of art within a community, about communication within the Maroon community, and about themes that the audience brings up during the seminar. It should be clear: The Moengo Festival of Visual Arts has to take place where it takes place. It must present itself in the place to which it is ideologically connected. 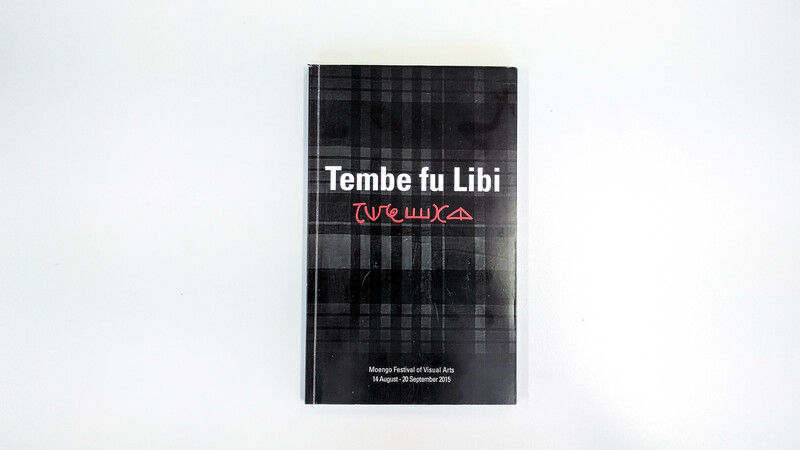 This catalogue documents the work of all participants in the exhibition ‘Tembe Fu Libi’, in word as well as in image.